It’s an exciting time to live in America! All across the country, activists are successfully raising awareness about social injustice and amplifying the voices of marginalized groups. While we gain ground in the fight for equality, it can be easy to forget that not so long ago people with disabilities were openly excluded from all areas of public life. Young people today might not remember that there was a time where disabled children were quietly forgotten in schools, and disabled adults only dreamed of basic access to jobs, medical care, and popular culture. One piece of landmark legislation changed all that. The Americans with Disabilities Act (ADA) was passed on July 26, 1990. In the 25 years since the ADA became law, the quality of life for people with disabilities has dramatically improved across the board. Wheelchair ramps on buildings, elevators in subway stations, braille signs, closed captioned TV— while the pieces might seem small on their own, they each fit into the larger puzzle of inclusion. More than ever before, individuals with disabilities have access to the everyday rights and privileges that we enjoy as American citizens. The sad truth is that without any laws in place to ensure adequate access, organizations feel little obligation to consider the needs of disabled patrons or employees. Before the ADA became law, discrimination was happening everywhere from churches to movie theaters to jailhouses. The rights of people with disabilities were being trampled, and there was little anyone could do to prevent it. The most important function of the ADA is to make the rights of disabled individuals clear for all to see. 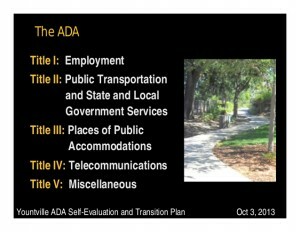 Titles I-IV of the ADA establish a basic set of expectations, and gives people recourse if they believe that they are being discriminated against due to their disabilities. People now have the ability to pursue legal action if they feel their rights are being violated, and organizations are less able to defend discriminatory practices. Unfortunately, progress doesn’t happen overnight. The whole country did not immediately understand and begin accommodating the needs of disabled individuals the day the ADA was passed. 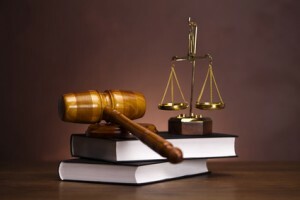 To further establish these rights, several amendments were added to the legislation. Passed in 1990 and updated in 2004, the Individuals with Disabilities Education Act (IDEA), formerly known as Public Law 94-142, requires public schools to recognize the right of children with disabilities to receive a free public education of the same quality as their peers. The law mandates that qualified individuals in public schools must identify the needs of each student, and that the school must make reasonable accommodation to meet these needs. Promoting education is a critical step toward equality. Exclusion from everyday life keeps people in a cycle of oppression. Prior to the ADA legislation, it was nearly impossible to break this cycle. Let’s say a deaf student began to fall behind in school. 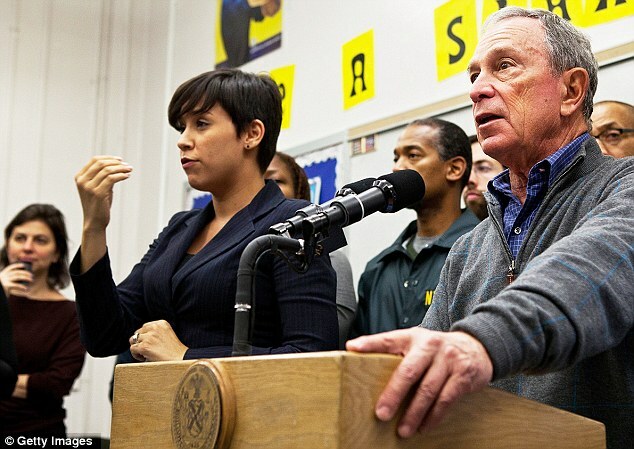 Instead of providing the deaf student with communication access in the classroom (an interpreter or note taker), the administration would just move the student to a remedial class. This student might be absolutely brilliant, but because they were unable to access the materials or participate in classroom dialogue, they would be sent to a slower learning group. 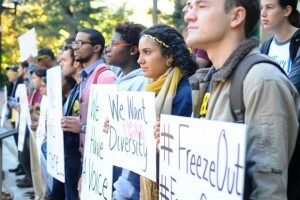 If this same student pursued professional development elsewhere, for example attending seminars or networking events, they would encounter yet another barrier: negative attitudes from organizers who felt providing equal access was a burden. Now imagine this individual applying for jobs. Employers would be thrilled to interview such a qualified candidate, until they discovered that the applicant was deaf and required a few workplace modifications to perform their duties. Without any federal regulation, discrimination was shockingly common and the cycle of oppression was allowed to continue. The Rehabilitation Act was one of the first sets of laws to protect the rights of people who are disabled. Passed in 1973, the Act “prohibits discrimination on the basis of disability in programs conducted by Federal agencies, in programs receiving Federal financial assistance, in Federal employment, and in the employment practices of Federal contractors.” We have come a long way since the first civil rights movements. In 1990, Title I of the ADA expanded on the provisions of the Rehabilitation Act to prohibit discrimination in all workplaces. Now we live in a country where blind computer programmers and doctors with mobility impairments can achieve success. Opportunities for education and employment are finally opening up, thanks in part to legislation; but also because each day, thousands of disabled people are slowly but surely breaking down barriers and continuing to pave the way for equality. There are deaf teachers working in mainstream classrooms. Deaf dentists, physicians, and therapists who serve the unique needs of their community. Just this year, Derrick Coleman became the first deaf football player to compete in the Superbowl. Deaf actors, bloggers, artists, and musicians are using their talents to smash through pop culture stereotypes. Other disabled individuals are rising up to change public policy from the inside out, such as Claudia Gordon, who works in U.S. Department of Labor’s office of Federal Contract Compliance Programs and was the very first deaf woman of color to become an attorney. Or Gregory Hlibok, the deaf chief of the FCC’s Disability Rights Office. When given the chance to pursue their dreams, the biggest limitation disabled people usually face is doubt from others. Growing up, I witnessed the struggles my mother and other deaf individuals endured when trying to perform everyday activities such as going to the bank or a doctors appointment. I am so grateful to live in this progressive time where the rights of disabled people are recognized and protected by the law. While the ADA definitely improved the quality of life for those with disabilities, I realize that we still have a long road ahead. My young deaf nieces deserve the same freedoms and opportunities to thrive that hearing children have. They deserve to live in a world where people do not judge or reject them just because they use another language. When I think of the world I want my nieces and children to grow up in, I know that the fight for equality has only just begun. LCIS is thrilled to partner with Innovative Inclusion, LLC to offer ADA Compliance Consulting for businesses and organizations. The Innovative Inclusion ADA Compliance Consulting program works in conjunction with relevant stakeholders and committee of Deaf advisors to assist organizations with reducing legal risk and ensuring that their business has all the tools for success when working with Deaf/ HoH customers, clients, or employees. 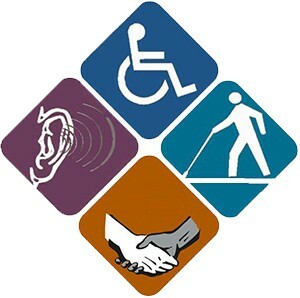 Also be sure to visit our ADA Consulting Blog at ADAComplianceConsultantForDeaf.com.